For online enquiries please use our online enquiry form supplied below. Welcome to the website of Eastern Rent-A-Van. 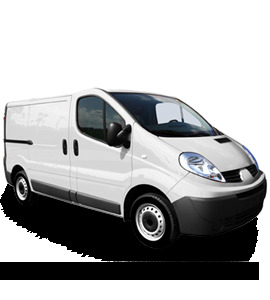 At Eastern Rent-A-Van we offer car hire, van hire, lorry hire, minibus hire, self-drive hire and truck hire. We are the van and car rental specialists in Wisbech, serving customers throughout Kings Lynn, March, Cambridgeshire, Lincolnshire, Norfolk and East Anglia. We are a family run business aiming for 100% total customer satisfaction every time a customer uses our car hire or van hire service. We understand that customer satisfaction is the key to the success of any firm. That's why we work hard to ensure that our customers receive a quality of service that continues to build on our already sterling reputation. As a well established company, we have been providing top quality services such as car rental, van rental, lorry hire, minibus hire, self drive hire and truck hire to our customers in Wisbech, Chatteris, East Anglia, Cambridgeshire, Lincolnshire and Norfolk for over 30 years, developing a solid reputation in the process. If you’re based in any of the areas we cover including Chatteris, and would like to know more information on any of our services please call today for an immediate quote, alternatively please contact us using the online contact form provided above. Here is a list displaying the range of services we offer.